Molecular compounds are atoms linked together by sharing electrons. Basically they bind together in electrically neutral particles called molecules. Some molecular compounds are very simple. The very examples of these are diatomic molecules, which only consists of two atoms. Carbon Monoxide (CO) is an example of a diatomic compound. Molecular compounds are called molecules to be brief. Most of the existing molecular compounds contain a lot of atoms like the table sugar, sucrose, which is chemically written as C12H22O11. It means that it has 12 atoms of carbon, 22 atoms of hydrogen, and 11 atoms of oxygen. In molecular compounds, the attraction of atoms is called a covalent bond. Molecular compounds are actually the same with covalent compounds ‘“ same things with a different name. Molecular compounds typically have little or no electrical conductivity properties. These types of compounds are often formed between two non-metals. Molecular compounds have low melting and boiling points. As what have been said, they are poor electrical conductors and can only conduct diminutively unless the molecular compounds are in aqueous and polar. At standard temperature and pressure (STP), these compounds can be in different states – solid, gas, or liquid. There is also another type of compound called ionic compound. This compound is formed when metals react or bond with non-metals. They are held next to each other by electrical attraction. Typically, ionic compounds are solids, which always appear as crystals, and they have high melting and boiling points. They also conduct electrical current well when in a molten or aqueous state. Perhaps, the best known ionic compound is the table salt (NaCl). The Sodium positive ion Na+ (a positive charge cation) and the chloride ion, Cl- (a negative charge anion) has formed an ionic bond which made the ionic compound. A net lowering of potential energy occurs in ionic compounds. This is brought about by the transfer of electrons between atoms. 1. Molecular compounds are pure substances formed when atoms are linked together by sharing of electrons while ionic compounds are formed due to the transfer of electrons. 2. Molecular compounds are made due to covalent bonding while ionic compounds are made due to ionic bonding. 3. Molecular compounds are formed between two non-metals while ionic compounds are formed between metals and non-metals. 4. Molecular compounds are poor electrical conductors while ionic compounds are good conductors. 5. Molecular compounds can be in any physical state ‘“ solid, liquid, or gas. Ionic compounds are always solid and crystalline in appearance. 6. There are a lot of molecular compounds than ionic compounds. Ian. "Difference Between Ionic and Molecular Compound." DifferenceBetween.net. 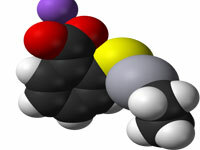 October 11, 2011 < http://www.differencebetween.net/science/difference-between-ionic-and-molecular-compound/ >. 6. There are a lot *MORE* molecular compounds than ionic compounds. Really broke it down in basic terms for a non-science major. Thanks tremendously! Thanks a lot …It ex very helpful article….And it gives me a lot of knowledge about ionic and molecular compoud ………. So never give up these Good works….pleaxe be in uploading good answers for critical questions….